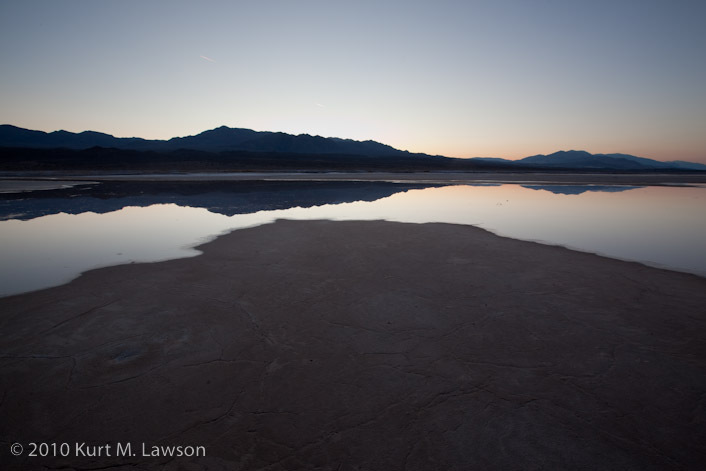 For the final magic hour shoot of the trip, we headed back to the previous morning’s location to once again go after reflections in the morning light. While the sky did not give us dramatic clouds this time, I did walk away with some nice images albeit with some saltwater-soaked hiking boots. 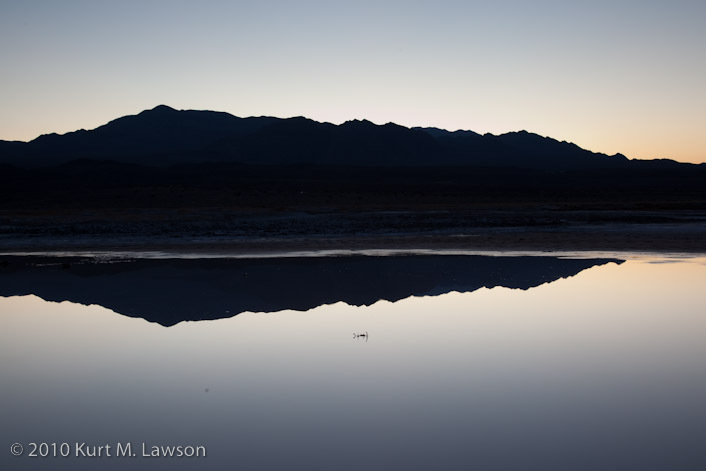 These next few images were taken as I left Death Valley and made a few stops along the way when I felt inspired. First up is a shot going up Towne Pass west of Stovepipe Wells on the way out. I wanted to capture the sun halo that was visible through the high clouds around the sun. Coming down from the pass, I was struck by what appeared to be an optical illusion. It’s as if the high Sierra Nevada mountains were submerged below a great blue ocean on the other side of the Argus Range. It was very strange to me and I felt compelled to stop and take a picture. Finally on the edge of the Darwin Falls Wilderness there was a decent helping of snow on the ground around some Joshua Trees. I took many shots to try and capture what i felt but in the end I only was happy with this shot of some trees on a nearby ridge. 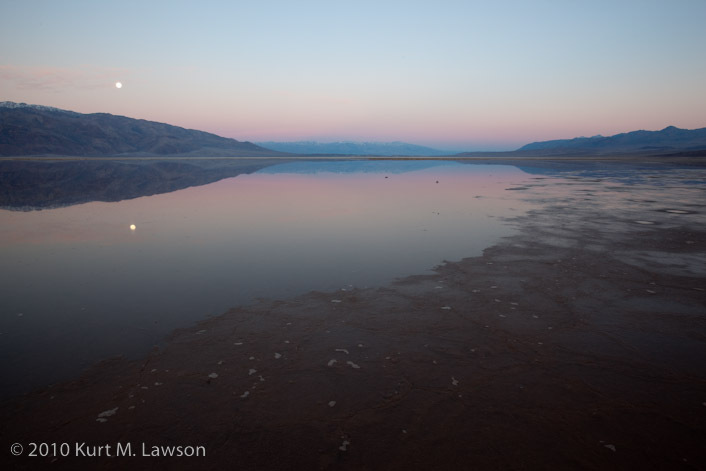 One last post from Death Valley is yet to come with just a few moonlight shots. This was a fantastic trip which produced many great images. More importantly, getting out in the wilderness was good for the soul.